Written by Anna May on February 20, 2017 . Posted in Conferences, News. Mihaela Popovici, Senior Researcher at the Semiconductor Technology and Systems Unit at IMEC (Interuniversity MicroElectronics Center, Leuven, Belgium) is visiting the ICMAB this week, invited by Anna Roig. 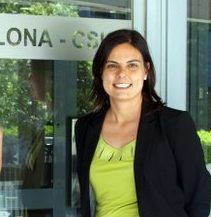 On Monday she gave an ICMAB Seminar at 12 pm at Sala d’actes “Carles Miravitlles”, entitled “Crystalline phase dependency of the electrical performance of oxide dielectrics for semiconductor applications”. Continuous dimensional downscaling of dielectrics and metals in semiconductor industry requires improved, non-defective metal-dielectric interfaces in order to preserve the intrinsic properties of the nanomaterials at thicknesses ranging between 5 and 10 nm. For such thin films, atomic layer deposition (ALD) is nowadays envisaged as the most suited deposition technique to deliver conformal layers in high aspect ratio structures. The crystalline phase often determines the dielectric constant and the bandgap energy and consequently electrical characteristics such as capacitance and leakage current density in metal-insulator-metal capacitors. Other specific properties like ferroelectricity seems to be driven by the presence of a particular phase (e.g. orthorhombic) with potential applications in ferroelectric field effect transistor fabrication. 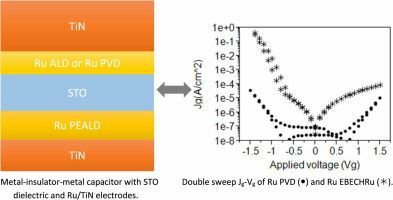 Graphical Abstract from: Understanding the EOT–Jg degradation in Ru/SrTiOx/Ru metal–insulator–metal capacitors formed with Ru atomic layer deposition (Microelectronic Engineering, 147, 108-112, 2015). Mihaela Popovici is a Senior Researcher in the Semiconductor Technology and Systems Unit at IMEC, Belgium. She received her PhD in Materials Science and Engineering in 2004, at the Politehnica University of Timisoara, Romania. She had a Marie Curie fellowship at ICMAB in 2002-2003 in the field of magnetic aerogels and was post-doctoral fellow at Philips Research Eindhoven in Photonic Materials and Devices during 2005-2007. She has been working for almost a decade at the nano-electronics R&D center of IMEC in Leuven, Belgium on memory chip scaling. At present she is the technical leader of the metal-insulator-metal capacitor project for DRAM applications. Her main expertise resides in dielectric oxides and metal thin films development, physical and electrical characterization and design of complex materials stacks with applications in nano-electronic devices. Written by Anna May on November 17, 2016 . Posted in Conferences, News. This morning, November 17th, at 9.30 am there is a session of “Spin-Offs. From Lab to Market”, within the Training Program FUNMAT (Severo-Ochoa Seminars), dedicated to all researchers and PhD candidates of the Institute. Some members of the N&N group have attented the seminar. It is always good to know what your colleagues are working on and to have information about patents and spin-offs creation. In our group, Anna Laromaine is cofounder of the spin-off OsmoBlue, which aim is to produce electricity from low-temperature heat. PRUAB (Parc de Recerca UAB) activities in business creation. Presentation of cases and experiences. 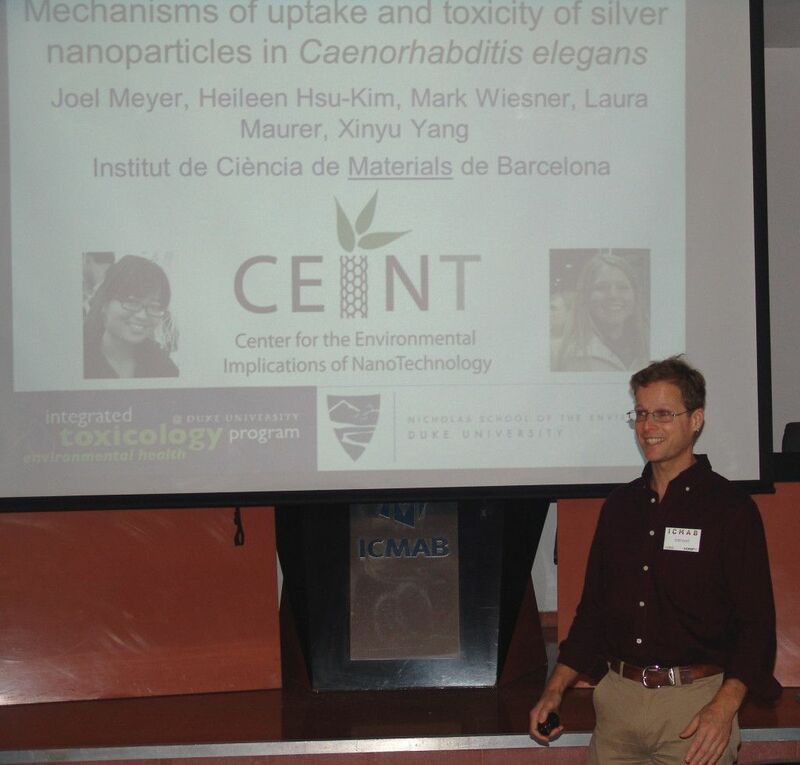 Speakers: Nora Ventosa and Santi Sala (Nanomol, ICMAB). Presentation of Oxolutia. Oxolutia path and “lessons learned”. 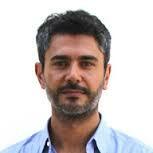 Speaker: Albert Calleja (Oxolutia, ICMAB). More information and the program here. Written by Anna May on April 6, 2016 . Posted in Conferences, News, Science outreach. 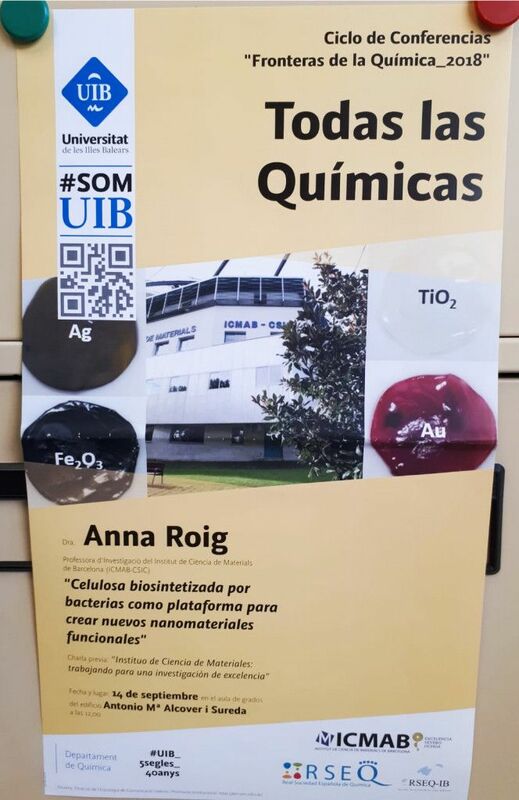 Anna Laromaine gave a seminar yesterday April 5th at the Facultat de Ciències-UAB, as part of the activities organized during the Festival of Nanoscience and Nanotechnology (10alamenos9), in which the ICMAB collaborated. The topic of the seminar was Nanomedicine, which, according to Anna, is “the use of the nanotechnology for medical applications”, such as diagnosis, medical therapies, drug delivery, tissue regeneration, and the understanding of cellular systems. Other seminars during the festival included the following topics: Biosensors by Ma Isabel Pividori, Energy capture and thermoelectrics by Aitor Lopeandía (UAB), Nanoelectronics by Francesc Pérez-Murano (IMB-CNM), an Introduction to nanotechnology by Ma José Esplandiu (ICN2), and Nanotechnology and society by Jordi Pascual (UAB). Written by Anna May on January 25, 2016 . Posted in Conferences, Group activities, News. Next Monday, February 1st, at 12 pm, Dr. Anna Laromaine, member of our group, will give the ICMAB Periodical Lecture. Anna will talk about “Caenorhabditis elegans and bacterial cellulose: exploiting nature to build materials”. 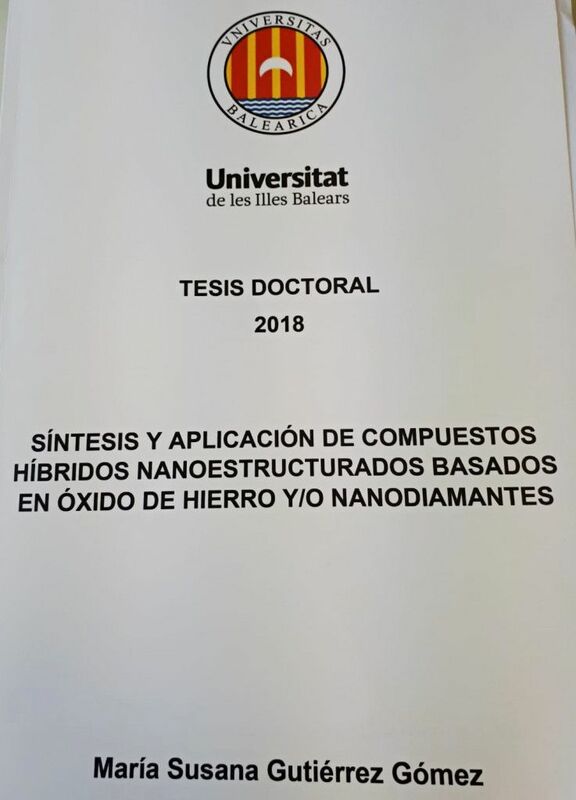 Many researches have been inspired by nature, from the synthesis of materials mimicking our environment to the evaluation of materials using in vivo animal models. In this talk, I will briefly introduce two approaches that we have been working recently in the group. First, I will present the use of the small animal model, Caenorhabditis elegans (C. elegans). 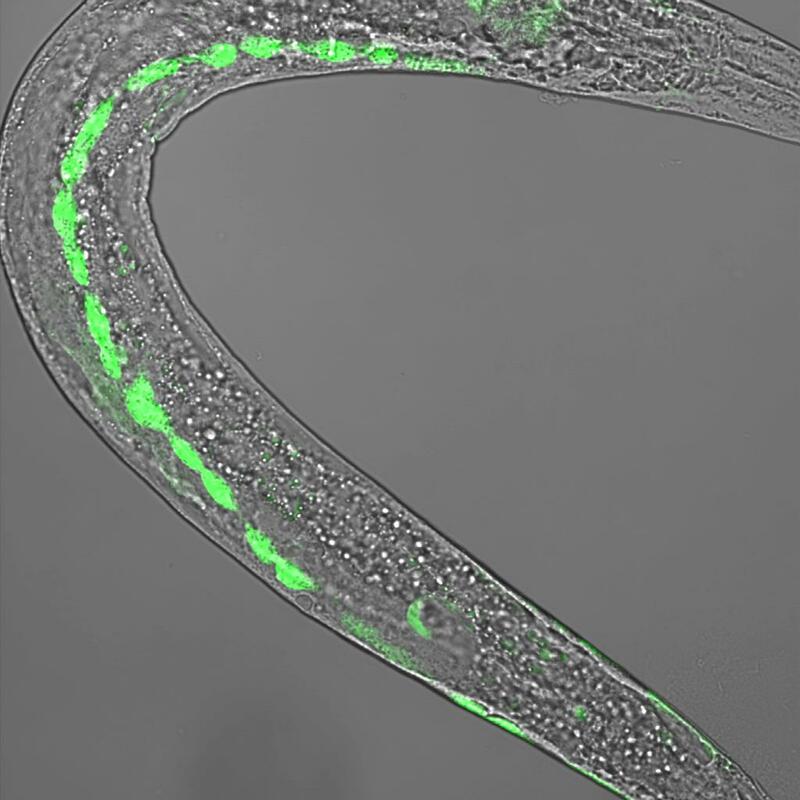 The characteristics of this model organism endorse this 1 mm long nematode as an ideal living system for the primary screening of engineered nanoparticles in a standard synthetic laboratory. I will present how using the worm, we assessed iron oxide nanoparticles in a simple and facile way. On the other hand, I will present how a bacterial strain can produce cellulose (named bacterial cellulose (BC)), of the same molecular formula as vegetal cellulose; however exhibiting a higher degree of polymerization and better crystallinity. BC also has high porosity, transparency in the UV-NIR and a high water holding capacity. 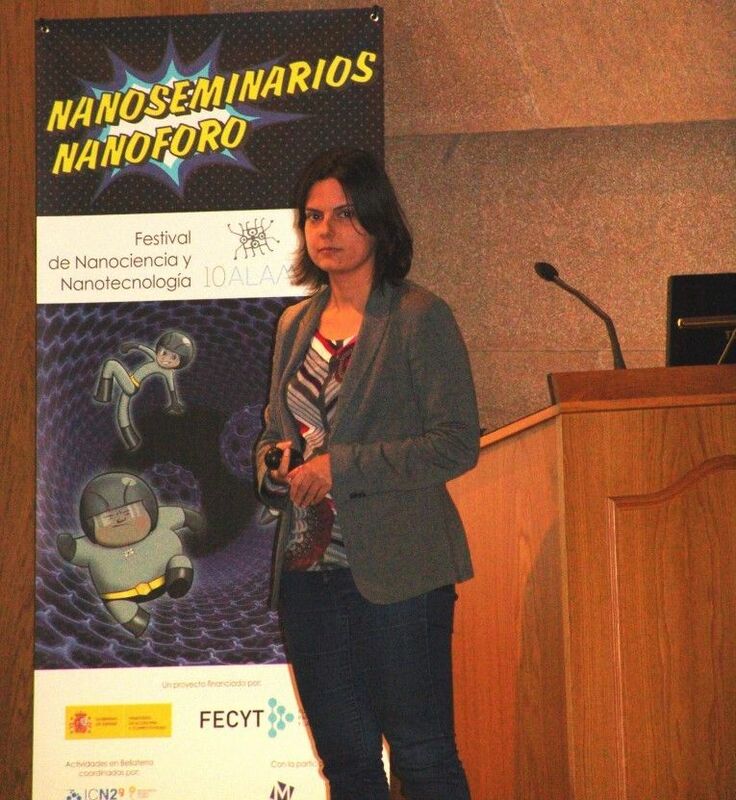 I will show how we controlled its structure and fabricate nanocomposites that can respond to external stimulus. Written by Anna Roig on November 10, 2015 . Posted in Conferences, Group activities. Particle se questration at the interface of immiscible fluids has been known for more than a century and exploited in the formulation of solid-stabilized (Pickering) emulsions for drug delivery, oil recovery, food, and personal care products, to name a few. More recently, new classes of multi-phase mixtures have emerged that exploit interfacial colloid jamming, bridging, ordering, and aggregation for the self-assembly of complex higher-order structures from colloidal building blocks, such as bicontinuous interfacially jammed emulsion gels (bijels), or bridged emulsion gels. The multiphase nature of these mixtures makes them excellent templates for the synthesis of composite materials with tunable morphology at the nano- to micrometer scales, and our group has recently demonstrated various examples of functional materials that can be derived from them. However, to expand these capabilities into a robust materials synthesis platform, the factors that mediate the mechanical stability and processability of these colloidal mixtures must be better understood. In this talk, I will review the fundamentals and recent developments in colloidal self-assembly at fluid interfaces, present a novel materials synthesis route that we have pioneered based on these concepts, and discuss the applications of our technology in electrochemical energy conversion and storage, sensing, catalysis, and tissue engineering. Finally, I will discuss our ongoing efforts to better understand the link between the microstructure, rheology, and processability of this new class of soft materials. Ali Mohraz received his BSc, ME, and PhD in Chemical Engineering from Azad University, The City College of New York, and The University of Michigan, respectively, and his postdoctoral training at the Frederick Seitz Materials Research Laboratory at The University of Illinois in Urbana-Champaign. 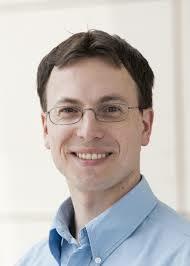 He is currently Associate Professor of Chemical Engineering and Materials Science at the University of California, Irvine. Dr. Mohraz’s primary research interests are in colloid science and complex fluids engineering, including colloidal assembly at fluid interfaces and microstructural evolution of complex fluids under transient large-strain deformations. Written by Anna Roig on September 29, 2015 . Posted in Conferences. Written by jags on July 9, 2013 . Posted in General News. Today, Martí Gich is visiting the Group of Clément Sanchez at Collège de France, where they will assess potential subjects of collaboration.